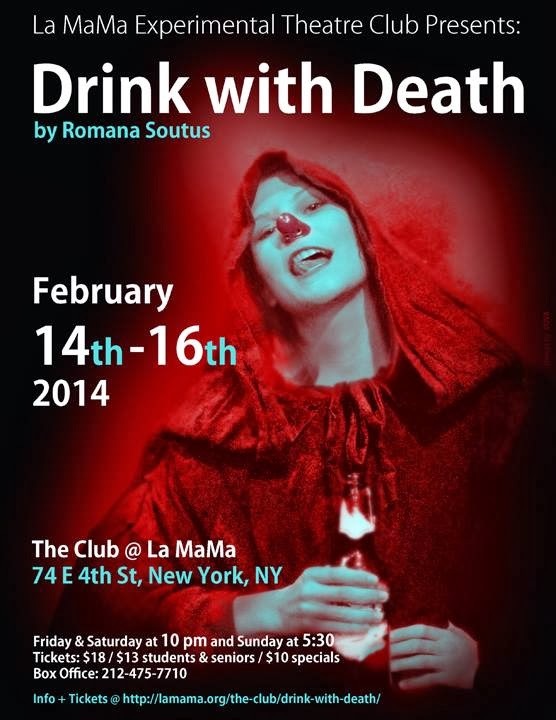 Drink with Death features murder ballads as performed by international musicians, a clown show, and countless unexpected twists and turns. Seize the opportunity to break down the walls we put up between ourselves and our mortality and instead find the humor, tragedy, pain and beauty that comes with society’s greatest fear. Tickets: $18 Adults; $13 Students/Seniors; A limited number of $10 tickets available, in advance only, for every performance as part of La MaMa's 10 @ $10 ticketing initiative. Not available day of performance. Last Chance To Catch THE WONG KIDS! THE WONG KIDS is New York Times Critics' Pick! Exeunt Magazine: 4-Stars for THE WONG KIDS! TheaterMania Loves THE WONG KIDS!